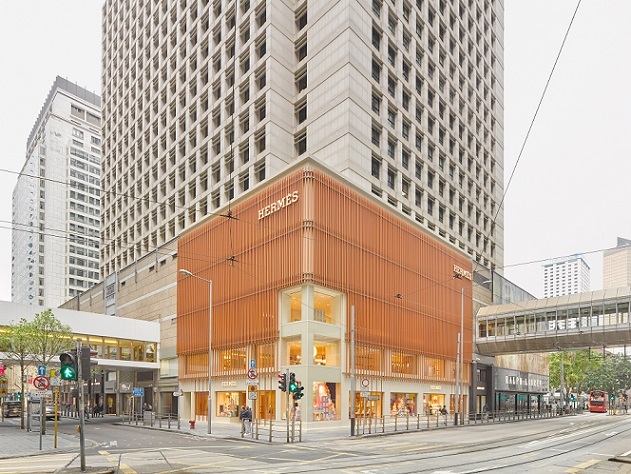 Hermès opens a new iconic flagship store address in Landmark Prince’s, located in Central, Hong Kong recently. The new store offers a retail space of 9,167 sq. ft spreading over three storeys from the ground floor to the first floor of the mall including a mezzanine. 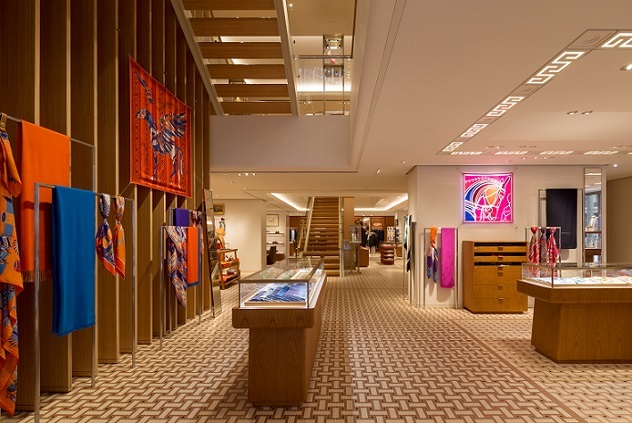 The spacious store enables Hermès to demonstrate fully the rich variety of its sixteen metiers, while making a strong statement of expansion and unwavering confidence in the market. 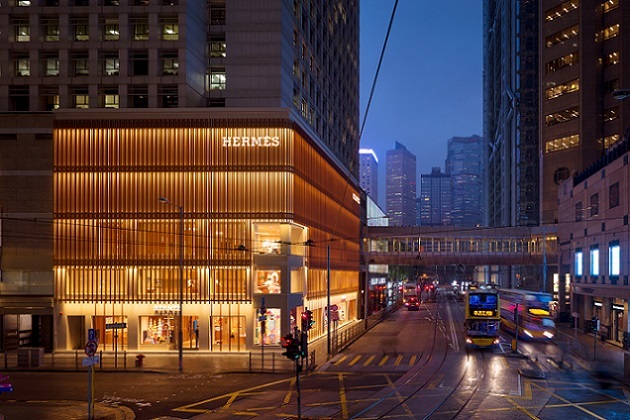 Designed and created by the Parisian agency RDAI under the artistic direction of Denis Montel, as for all Hermès stores worldwide, the remarkable new store features a striking three-dimensional vertical façade inspired by the traditional bamboo scaffolding with contemporary interpretation, which allows ample natural light to brighten up the whole store. 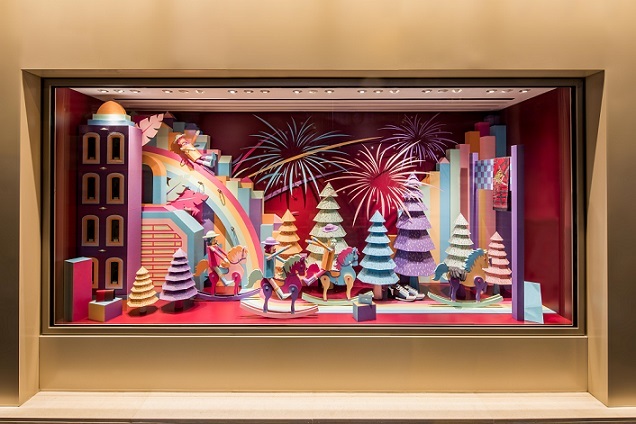 With the main entrance on Ice House Street and the second entrance on Des Voeux Road, the corner is dedicated to a giant window on two levels, revealing a new installation from French artists Zim & Zou. 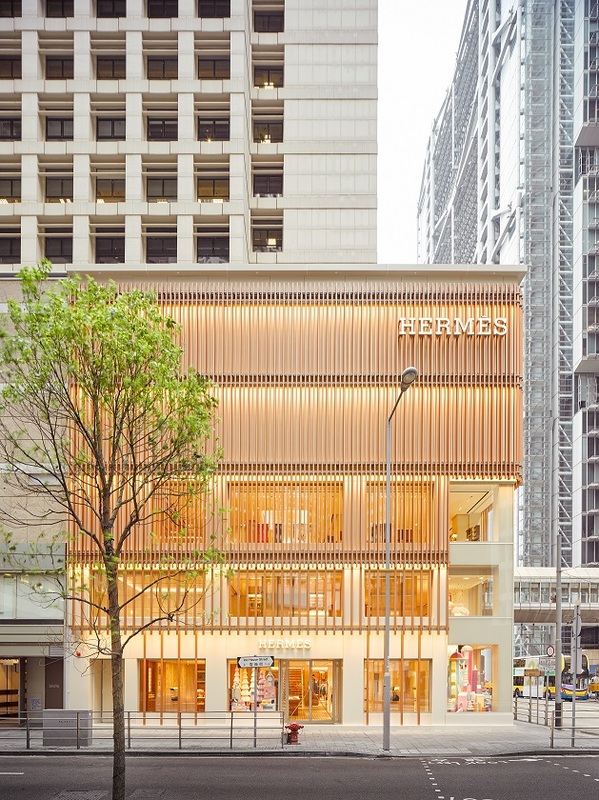 As one enters the new store through the main entrance, past the 3-storey high ceiling foyer and the welcoming bamboo staircase, one will be warmly greeted by the signature scarves and silk collections, with perfume and fashion jewellery embracing on both sides. The second entrance opens up the space to the men’s universe, with leather to the left and ready-to-wear to the right, facing the dedicated shoes area. Walking up the stairs to the mezzanine floor, one will find the comprehensive collection for the women’s universe and the jewellery accessories & watches department, with a versatile VIP room “L’ecrin” for jewellery. Filled with natural light through the façade, the space on the first floor is entirely dedicated to the Maison universe, a perfect setting for the Art de Vivre collections. 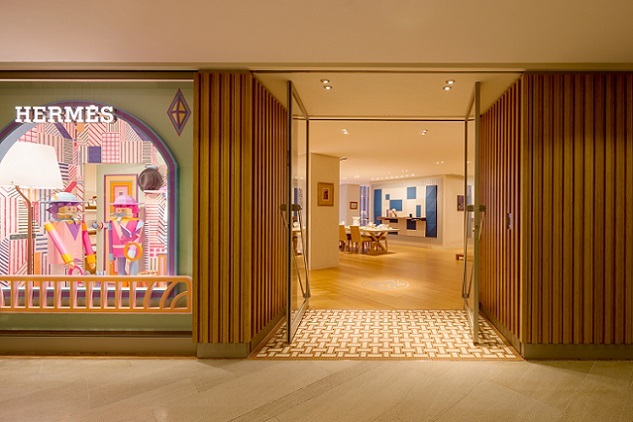 At Hermès, aspiration for perfection, passion for the future and respect for the past are inextricably linked. Since 1837, six generations of enterprising and passionate artisans have devoted themselves to creating objects of the highest quality. From its beginnings as harness-makers to the rich medley of collections offered today, its founding values remain the same – creative freedom, fine craftsmanship, innovation and excellence. 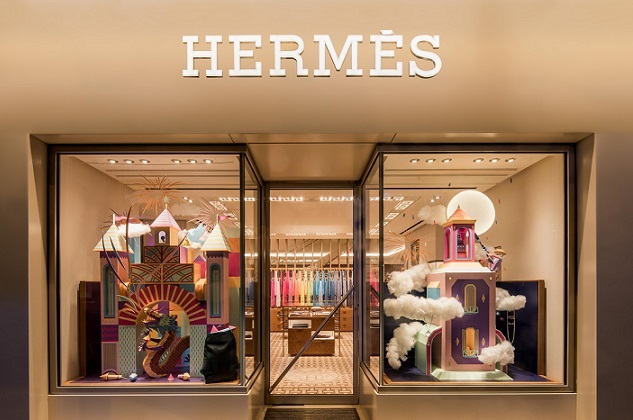 A family owned company, Hermès is managed by Chief Executive Officer, Axel Dumas under the creative direction of Pierre-Alexis Dumas, both sixth-generation family members.